Rosacea may not be a life-threatening condition or something that gravely affects your health, but the effect that it has on you mentally and emotionally is overpowering. Having a flushed, bumpy complexion takes a toll on you, similar to the way acne makes can make you feel like a recluse who'd rather hide their skin than be in public. While there is no cure for the condition, there are certainly steps you can take to make redness less noticeable and flare-ups far fewer, like your diet and being conscious of the products that you use, the latter of which is the focus of our discussion today. According to Dr. Elizabath Tanzi, founder & director of Capital Laser & Skin Care, "One of the hallmarks of rosacea is that the skin’s barrier protection is somewhat weak, therefore many ingredients that are fine for use on normal skin will be very irritating to rosacea-prone skin." So even if something looks completely harmless in the bottle, it could be making your condition worse. Below, you'll find the ingredients you should steer clear of if you have rosacea. While tretinoin (or retinoids) are sometimes used to treat rosacea to help reduce the appearance of pustules and bumps, Dr. Tanzi warns against it; because individuals with rosacea have hypersensitive skin, retinoids, which are strong and potentially irritating in nature, could make redness and spider veins worse. Benzoyl peroxide, a common ingredient used to treat acne is rosacea's foe, according to Tanzi: by nature, it increases the skin's oxidative stress, increasing inflammation and premature aging. Similarly, salicylic acid, another acne treatment which works by dissolving cell buildup may also be too irritating and drying, causing rosacea to appear even more red and irritated. While we sing the praises of glycolic acid at Byrdie HQ for its glow-inducing and skin tone-evening capabilities, Tanzi warns individuals with rosacea to stay away. The exfoliating acid is too harsh for rosacea—think about it: glycolic peels often make average skin tingle, so you can only imagine what it will do to already inflamed and red skin. Hydroquinone is a skin-lightener used to treat dark spots and hyperpigmentation—but for rosacea? Absolutely not, according to Tanzi. Similar to the previous ingredients, it's a bit too harsh for rosacea to tolerate and could easily inflame and burn the skin. Forego using this irritating toner, says Dr. Patricia Ceballos of Schweiger Dermatology Group. While some witch hazel toners are alcohol-free, many drugstore commercial toners are a bit misleading and actually contain 15-30% ethanol, a skin-irritant. Most alcohol, as you know, is very drying and shouldn't be used in skincare, whether you have rosacea or not. (However, there are some forms of alcohol that could be potentially beneficial—check out Renée Rouleau's full list here). You know that minty-tingle feeling you get after applying face masks or using a refreshing cleanser? That sensation is actually harmful to individuals with rosacea, according to Ceballos. This sensation usually manifests itself in ingredients like menthol, eucalyptus, and peppermint, which could provide more of a burning, itchy feeling than the "cooling" sensation it's usually marketed as for individuals with rosacea. Ceballos says regular soaps, which are too high in detergent content and often contain harmful chemicals including, but not limited to, formaldehyde releasers and detergent such as sodium lauryl sulfate are extremely irritating for rosacea. So now what? We've just told you a bunch of ingredients to avoid, but what about the ingredients that won't wreak havoc? "Choose a gentle and hydrating cleanser, such as La Roche Posay Toleriane Dermocleanser ($24) or Neutrogena Ultra Gentle Hydrating Cleanser ($8)," advises Ceballos. "The ingredient cetearyl alcohol, found in many gentle skin care products, should not deter the rosacea patient. It is not a drying agent, but rather an emollient and texture enhancer and does not pose a risk. Toleriane Fluide ($30) or Toleriane Riche ($29) moisturizers are excellent options in this scenario as well." She continues, "When shopping for makeup, remember the irritating ingredients mentioned above. Since acne rosacea patients often have eye involvement, choose mineral eye makeup with low pigment content and mascaras which have been allergy-tested and ophthalmologist-tested and easily removable with warm water. Above all, keep your makeup and product routine simple! 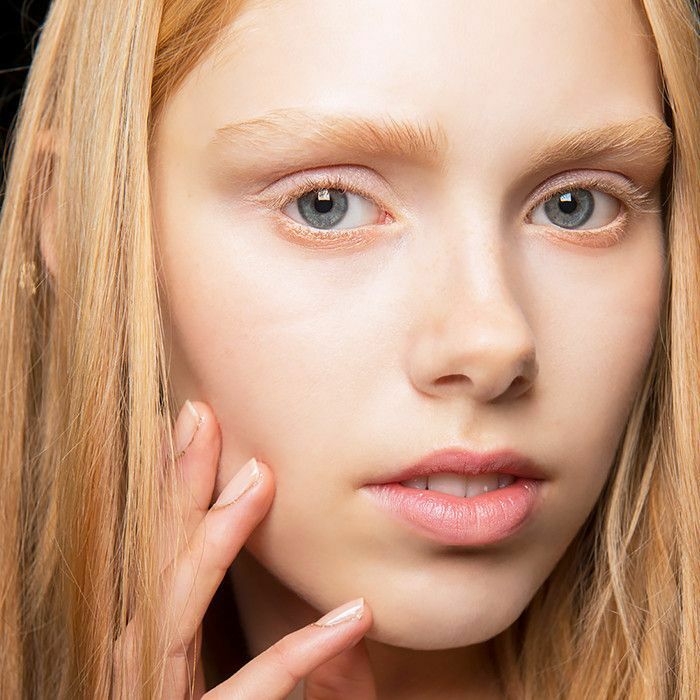 The less ingredients in moisturizers, cleansers, and makeup, the better. " Lastly, Ceballos says to always remember to test any new skin product on a small section of the neck or forearm prior to facial application to examine how your skin will tolerate it. ​For more rosacea tips, check out our comprehensive guide.